Have you heard? One of our local favourite distilleries, Merridale Ciderworks, has announced that they are moving ahead with their decision to set up a shop in Victoria West, according to Citified Victoria. Changing the landscape of the west side of the Inner Harbour, Merridale promises to help flesh out the sense of community in Vic West. Situated between the Farmer Construction building and Dockside Green’s wastewater plant on Harbour Road, Merridale will make themselves at home, and by mid-2019, the local company will open their distillery and restaurant, offering us another exceptional spot for drinks and eats in the city, including a rooftop patio. This location will also feature a tasting bar, offering growler fills and a spot to purchase other merchandise. This new addition will mark the first development since the revised community concept was approved by Victoria back in 2016. Dockside Green has long been a promised area for locals, and the existing condos in the area are sought-after units to call home. With so many new amazing additions coming to the area, more and more people will want to be a part of this robust, green and cutting-edge community. Additional residential buildings will likely be built in the future, as well. Right now, there is a new rental building going up along Harbour Road, so the development is working hard to accommodate all of Victoria, giving all demographics a chance to move into this great location. 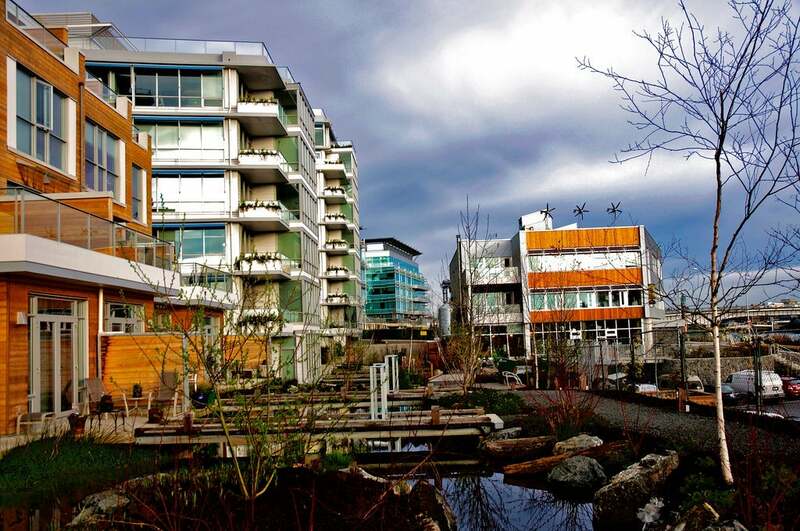 Located just across the Johnson Street bridge, Dockside Green is one of the easiest places to walk from. It’s just a short stroll into town or up Tyee Road to groceries, coffee, and other amenities, or straight south towards the Songhees Walkway. Get in touch with your Condo Expert to talk about owning in this great area. Don’t have a realtor yet? Leave us a message at info@thecondogroup.com, and we’d be happy to sit down and talk with you about your housing needs.